“My people, you are on the threshold of a new era. So many things are about to suddenly change, in both your nation and your individual lives. For I am preparing and setting the stage for My end-time events. Some of you will be greatly used in these events and My kingdom ministries, yet many others shall only be dismayed. Yet, I tell you now; it does not have to be this way. For if you would render your hearts unto Me, and lay down your lives at My feet, then I shall do a quick work within you. However, for those who refuse to lay everything down, I give you this warning; soon My Spirit will flood the earth like a huge ocean wave. And if you are not walking in My will, your life as you know it shall come crashing down. Howbeit, for those walking in My will, this coming wave of My Spirit shall lift you up and carry you to the fullness of your destiny in Christ, so long as you continue walking with Me and endure to the end. So then, listen well to Me this day when I say repent and repent quickly. 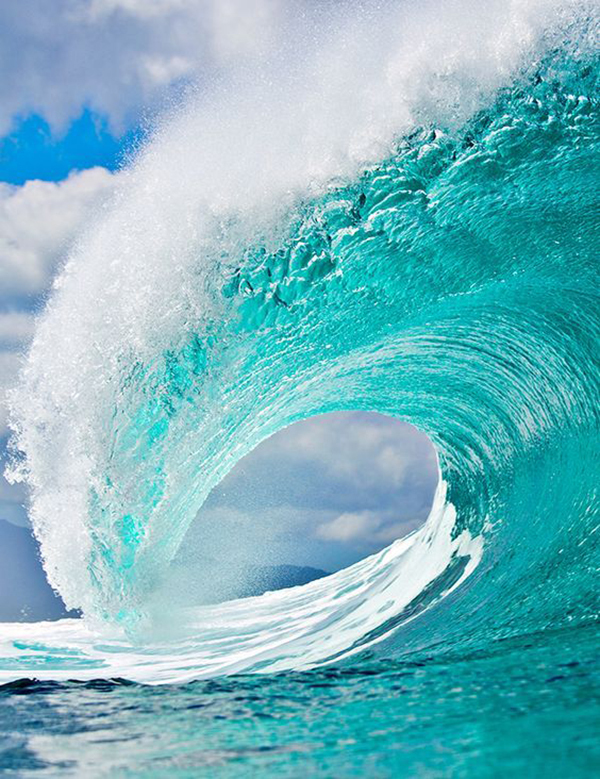 For if you are walking in sin and rebellion when this wave comes, it may be your demise when it hits you. Oh, it is not I who shall do this to you, yet you will be snared by your own doings. But for those walking in obedience when this wave comes; I say get ready to be swept off your feet and into My Spirit. For I shall carry you far above the woes of this world. Now, this does not mean that you shall be without trials and testings. Yet, My peace which passes all understanding shall carry you. And I shall always make a way for you to fulfill My will and purposes in the earth realm. Oh, My dearest little ones, My heart is thrilled regarding the days that are ahead. For even though there will be many calamities and woes, there shall also be the greatest move of My Spirit this world has ever experienced. And many souls shall enter into My kingdom in these last days. So then, prepare your hearts before Me and allow My Spirit to make the right adjustments in your attitudes and thinking. And if you give all to Me and allow Me to do this work in you, you shall be thrilled beyond what you have ever imagined. Oh, how I love you all with an everlasting love. And it thrills Me to thrill the hearts of My people. Kevin Barrett came to the Lord in 1992 and then spent many years going from church to church seeking “the real,” but was not able to find it. The Lord drew him to Himself to be taught outside of the churches in his own personal wilderness. During that time, the Lord gave Kevin a burden for His people who are not prepared for the things soon coming upon the earth. For over a year, the words “Woe unto those who are at ease in Zion” kept ringing in Kevin’s spirit. In July 2011, the Lord began giving him warnings for His people to shake them awake so that they would prepare themselves spiritually for the days ahead and enter His spiritual ark of rest. In response to that charge, he started posting the messages God gave him on his blog, called Hear His Heart. Is a fallacy, Prayer Warriors don’t be fooled. Satan is not on vacation, he is still up to his old tricks. Also God said we should direct bulk of our intercession prayers towards our families. A Message to all whom has been given end times messages from the Lord,(if it is truly from LORD). Do not hang up head, if people call you a false prophet. Because your prophecy has not come to past yet. Remember Mistery lies within God. He does things at His time. nor you be the last. We must clothe ourselves in humility for this hour. We really have no idea what this will look like individually or as the body of Christ. Complete surrender is a must. Repentance must be an attitude….at best our understanding is in part, only a portion of the vision and purpose of God. Holy Spirit only you can reveal to us all truth, only you can speak what you hear the Father saying and only you can show us what is to come. Enlarge our capacity to receive understanding and transform our minds to think according to the Fathers will. Some may think this is talking about walking the tight rope, but It’s really about standard consecration and sanctification sprinkled with the Fear of the Lord. A heart that burns bright hot for her Lord……A virgin whose lamp does not die out. Sometimes I feel like I am dangling on the edge of a cliff with my faith, tired and about to fall to my spiritual death. Finally I can’t hold on any longer and I let go, but then I realize that I am not falling because Jesus has been holding me the entire time. WOW Kevin ! Amazing word ! Amen…it’s time to seek the Lord. Meghan, thank you for sharing this awesome prophetic praise and worship song ! Truly amazing ! Bless you ! I pray everyday Matthew 7:7…and I ask to be filled with the Holy Spirit so that my thoughts will be HOLY…and I will have HIS Spirit of boldness. And still I struggle. Thank you for this encouraging word! Amen, Scott. Thanks for sharing. This word confirms what Father God has put into my heart about His plans. Thankyou Kevin,A true Word for sure.